Fall River, MA, located at the South Eastern part of the state, borders Rhode Island. when dealing with real estate, it’s crucial that you have guidance here. House prices fluctuate based on what part of town you are from and it can be easy to get tricked. Our local Lamacchia Realty Fall River real estate agents understand the local community better than anyone. Whether you are looking to purchase a home or sell a home, let Lamacchia Realty Inc. get you there. What makes our team successful involves so many factors. Out of those, there are two that stand out more than others. 1. We have some of the best real estate agents out there. They are highly trained and they get results. 2. We have the tools of a larger company that allows us to excel past the competition. If you are looking to sell your home, there are a few reoccurring issues that we see home sellers encounter. They aren’t able to get enough people to see their house and they aren’t able to get any offers which ends up wasting valuable time. The longer a house sits on the market, the worse it is for the home value. When working with Lamacchia Realty Inc., the second your house hits the market, we make sure that everyone knows. Throughout our aggressive marketing campaign, there WILL be eyes on your home. From there, our skilled real estate agents can make sure you are listing for the right price, and are doing all the behind scenes things to get your house sold at the right price and quickly. When purchasing a house, it’s very important that you have all the available resources at hand. The rest of your life will be affected upon how your home buying process goes. With Lamacchia Realty, we provide our customers with leading agents that have all the required tools to make sure you get the house you’re looking for. Explore our BUY A HOME PORTAL today to check out some home buying tools and home buying tips! The median home price is $243,500. Waterfront – Fall River has an amazing waterfront location that is great for people looking to water views. Go for a walk, a run, a quick bike ride or check out the USS-Massachusetts. Parked right on the water off the coast in Battleship Cove, it’s great to look at and they even let you explore the ship during the day. 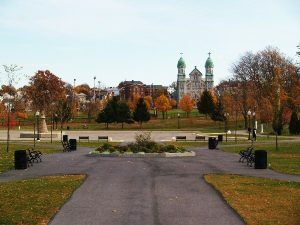 Downtown Area – Fall River has an up and coming downtown area that is filled with culture, art and amazing restaurants. Head downtown during any night of the week and there is plenty for you to do! To learn about Fall Rivers Public Schools, click here!